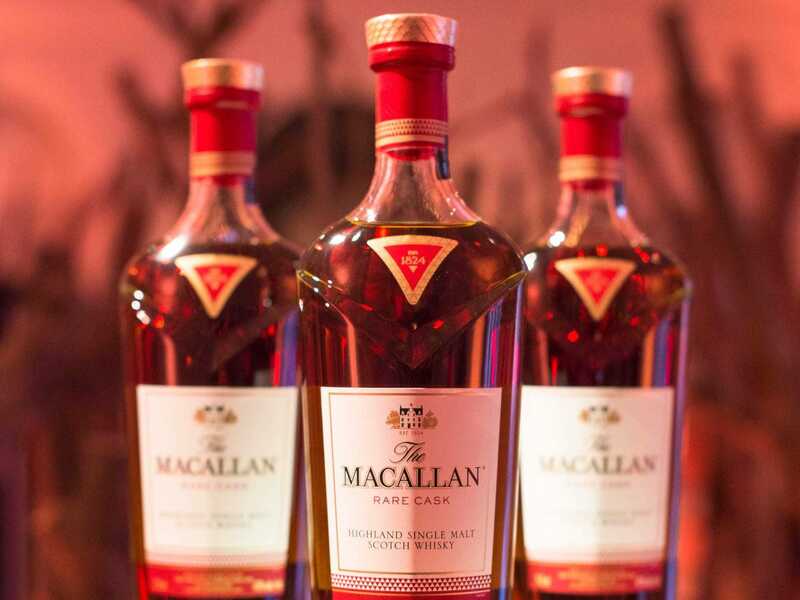 The last time The Macallan released a limited edition scotch whisky (sold only at its distillery in Speyside, Scotland) the line outside the door was long enough to disrupt the distillery’s day to day activities. This latest release of The Macallan Rare Cask will only be sold in the United States, so Speyside’s distillers are free to go about their business in peace. Lucky for them, and lucky for us. Instead, all the chaos will ensue around liquor stories down by Wall Street and up to Midtown. Here’s why. What makes The Cask so rare goes back to the casks The Macallan uses to age the whisky, Bridger explained. A team led by The Macallan’s master distiller goes to Spain pick the sherry casks — made of oak, of course. Those casks are “seasoned” sherry for 18 months, are then dried and sent to Scotland. It’s a five year process. That’s right, he said “wood program.” They even have a Master of Wood. His name is Scott MacPhereson, in case you were wondering. After the team finds 100 casks that are up to snuff, they take those casks back to the sample room at The Macallan distillery. There they take samples and nose the whisky that comes from those casks after they have been proofed down to 20%. Only the whisky in casks that survive that test get bottled. Inside the bottle is a scotch that manages that starts out with a bold, spicy taste and leaves your tongue with a light citrus taste. Share this only if you must.